Global dietary guidelines should possibly be changed to allow people to consume somewhat more fats, to cut back on carbohydrates and in some cases to slightly scale back on fruits and vegetables, a large study suggests. Over the course of about seven years, diets with roughly 35 percent of calories from fats were tied to a lower mortality rate than diets with about 60 percent of calories from carbohydrates. "What we are suggesting is moderation as opposed to very low and very high intakes of fats and carbohydrates," said Mahshid Dehghan from McMaster University in Hamilton, Ontario, Canada. Dehghan and colleagues write in The Lancet that cardiovascular disease is a global epidemic, with 80 percent of the burden being found in low- and middle-income countries. The World Health Organization currently advises people to get no more than 30 percent of energy from fats and to avoid saturated fats found in things like animal products. Those recommendations are based on data from North America and Europe, however. The new data are drawn from the Prospective Urban Rural Epidemiology (PURE) study, which recruited people ages 35 to 70 in 18 countries between 2003 and 2013. The researchers had dietary and other information from 135,335 people who were followed for roughly seven years. During the study period, the researchers identified 5,796 deaths and 4,784 cardiovascular events like strokes and heart attacks among the study population. When the researchers separated people into five groups based on carbohydrate consumption, they found that people who ate the most carbohydrates were 28 percent more likely to die from any cause during the study than those who ate the least. When people were divided into five groups based on how much fat they consumed, those who consumed the most fat - of any kind - were about 23 percent less likely to die during the study than those who ate the least. The findings were consistent no matter what type of fat was consumed. 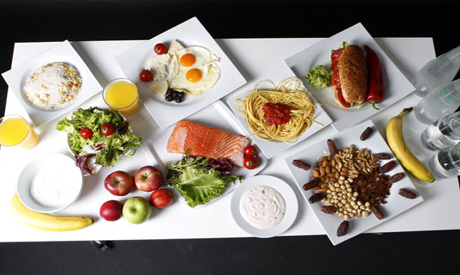 "We are hoping that dietary guidelines are reconsidered in light of the new findings," Dehghan told Reuters Health. Guidelines could relax restrictions on fat while focusing on carbohydrate intake, for example. A second analysis from the PURE study also suggests that the benefits of eating fruits and vegetable aren't limitless. WHO guidelines suggest five servings of fruits, vegetables or legumes each day, according to coauthor Victoria Miller, who is also with McMaster University. Those guidelines, again, are mostly based on evidence from North America and Europe. In other parts of the world, five servings of fruit each day may be too expensive. "Our findings show the lowest risk of death was among people who ate three to four servings with little additional benefit beyond that range," said Miller. If dietary guidelines were adjusted to reflect a smaller recommended amount, she told ReutersHealth, it would be more achievable and more people would meet that goal. Miller also emphasized that people who are meeting or exceeding the daily goal of fruits, vegetables and legumes shouldn't take the findings as a license to eat less of those foods. "We don’t want to tell people who are eating more than the recommendation to eat less," she said. "That’s not the message." Along with existing evidence, the new research suggests the biology of people around the world is similar when it comes to diets, said Dr. Dariush Mozaffarian, dean of the Tufts Friedman School of Nutrition Science and Policy in Boston. "When viewed in the context of all the other evidence, it paints a pretty consistent picture," said Mozaffarian, who wasn't involved with the new study. He told Reuters Health that people should increase good fats, increase the consumption of good foods that give rise to life - like fruits - and not worry too much about total or saturated fats. "I think we really have to revisit the continued strong focus on fat rather than thinking of carbs and food quality," said Mozaffarian.